Loving Vincent: The Journey is now available to pre-order. Get your copy of this exclusive behind the scenes book today, available at a special pre-order price until February 14th 2019. Loving Vincent: The Journey is a high quality hard-cover book exploring the 10 year odyssey to make Loving Vincent, the world’s first fully painted feature film, which brought the paintings of Vincent van Gogh to animated life to tell Van Gogh’s troubled story. 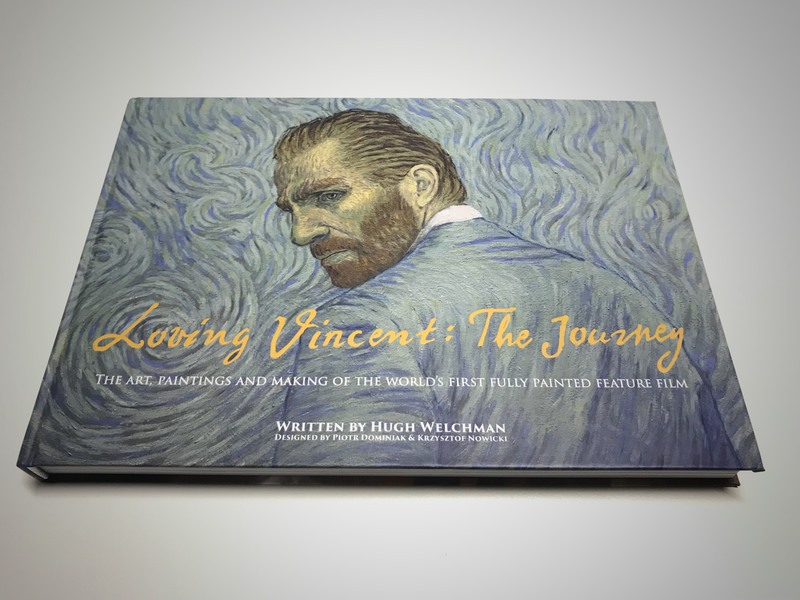 The book is a showcase of the best paintings and artwork from the film, including all the paintings currently touring the world in the Loving Vincent Exhibition. 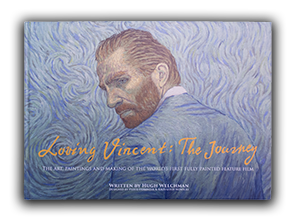 There are 181 paintings from the film reproduced at high quality in the book, as well as a full explanation on the creative process of re-imagining Van Gogh’s paintings into the medium of film. There are also reproductions of the Van Gogh originals to allow the reader to compare the film’s paintings to the originals and best appreciate the adaptation process. As well as delving into the artistic process, the book goes through the technical film-making steps taken in the making of Loving Vincent, including guiding readers through the research and development phase, where the film-makers tested various options before deciding on the final approach and look for the film. The book is not just a celebration and explanation of the artistic process, it also details the emotional roller-coaster experienced by the directors in their 10 year journey from when Dorota Kobiela came up with the idea in an attic flat in Lodz in Poland when she had no job and no money, to walking down the red carpet for the Oscars. The creative team behind the book, are the same people behind the film. The book is written by Hugh Welchman, co-writer and co-director and producer of the film, with two chapters on her personal journey contributed by Dorota, co-writer, co-director and creator of the film. The book has been designed by the film’s Head of Painting Animation, Piotr Dominak and Painting Animator Krzystof Nowiczki. As well as detailing the story of the film and the film-makers there are two chapters on the life and works on Vincent van Gogh: one which shows what parts of his life made it into the film; the other showing all of his paintings that were included in the film. The book has an introduction by Axel Ruger, Director of The Van Gogh Museum, who were development and distribution partners on the film, and who hold the largest collection of Van Gogh paintings in the world. Loving Vincent: The Journey is a must have book for any fan of the film, and more generally for fans of Vincent van Gogh and Animation and those who want to get exclusive access behind the scenes to see how a film is made.